A&G instruments is an ISO/IEC 17025ACCREDITED COMPANY that specializes in the installation, repairs and sales of process control & Intrumentation of all types. These services are offered for applications , such as pressure, flow, level, temperature, pH, ORP, conductivity, turbidity, O2, CO and dissolved oxygen among others. A&G offers a variety of maintenance contracts for our clients specific needs. Our services include Calibration, Certification with Traceability , Installation, repair and maintenance of manufacturing process controls. We also maintain contracts with Engineering, Pharmaceutical, Auto, Food, Municipalities and chemicals plants requiring services such, installation, repairs, and calibration traceable to the N.I.S.T. A&G Instruments is dedicated to satisfy the changing needs of its clients by combining long term business relationships with highly respected manufacturers in their chosen fields, develop new and creative sales programs and partnerships. We are prepared to invest in the future and continually look for both manufacturers, and clients alike, who have objectives consistent with what we believe the future holds. 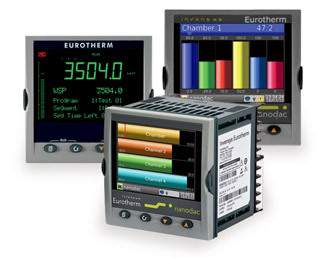 We are manufacturer representatives and stocking distributors for a variety of Process Controls & Instrumentation.